The same God who brought the Reformation in the sixteenth century is still at work today. His plan has not changed, and what He has purposed for His glory and our good will be accomplished. On March 9-11, 2017, Ligonier Ministries hosted its 30th annual National Conference. Alistair Begg, Tim Challies, Leonardo De Chirico, Sinclair Ferguson, W. Robert Godfrey, Michael Horton, Steven Lawson, Augustus Lopes, John MacArthur, Albert Mohler, Stephen Nichols, Michael Reeves, Derek Thomas, and Stephen Tong joined R.C. 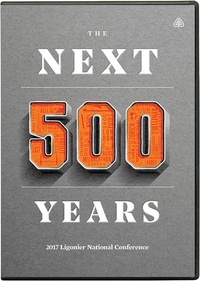 Sproul to celebrate the five-hundredth anniversary of the Protestant Reformation and consider the future of the church.